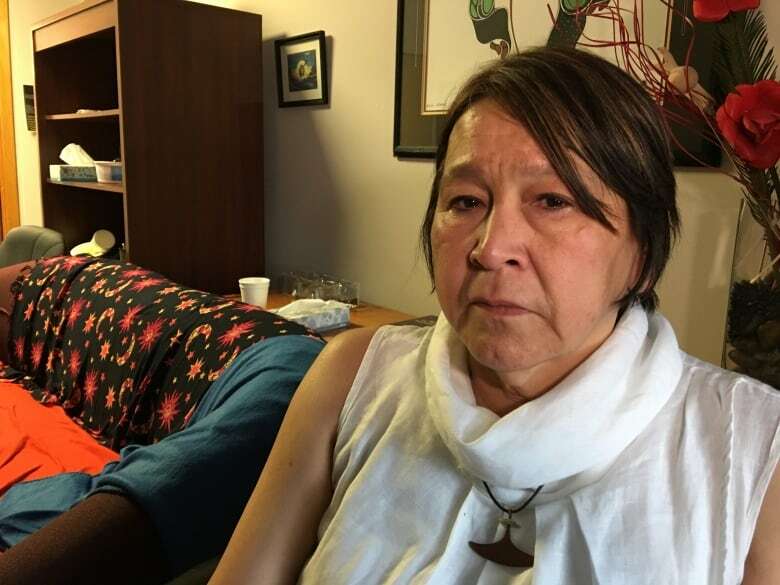 Northerners need counsellors who understand the North, says family of missing woman during the first day of MMIWG hearings in Yellowknife. Kathy Meyer still refers to her daughter in the present tense. Angela Meyer was last seen on Nov. 27, 2010 in Yellowknife. Eight years later, members of her family were the first to testify to the inquiry into missing and murdered Indigenous women in Yellowknife. "She was a very loving girl. I don't like using was — she is," Kathy tearfully told the commission in a room of about 70 people gathered at the Chateau Nova hotel Tuesday morning. Kathy, her husband Dean and their daughter Candice were scheduled to share their stories and give recommendations to the inquiry. Kathy started by describing Angela as a "perfect, perfect" baby. "I often called her our summer baby," she said. "Mosquitos were coming into the hospital room. I hold that [memory] very dear." Angela was a sweet child, according to Kathy. When she reached the age of 15, she developed symptoms of a mental health illness, later diagnosed as schizophrenia. Angela didn't complete high school. "There was not a lot of help for Angela when she was a teen," said Kathy. "And I don't think there still is." When Angela turned 18, she was able to access community programs that Kathy described as "wonderful." She was also able to access an independent living program with people in similar situations to hers. Angela Meyer was 22 years old when she disappeared. She was last seen at her house at 1:15 p.m.
Kathy will forever be haunted because she waited until 5 p.m. to call the police. She said she called the hospital and asked what to do. "The nurse on duty told me, 'No, wait.' I was in a panic." So Kathy waited, but Angela didn't come back. They reported her missing. Angela said the family searched for her and plastered posters all over town. Dean said the RCMP took the investigation seriously. In fact, he said the RCMP is still in regular contact with the Meyer family. "You've heard horror stories," he said of the RCMP. "You don't hear any RCMP bashing here. We are proud of the way they [investigated Angela's case.]" But some concerns do linger in Dean's mind. 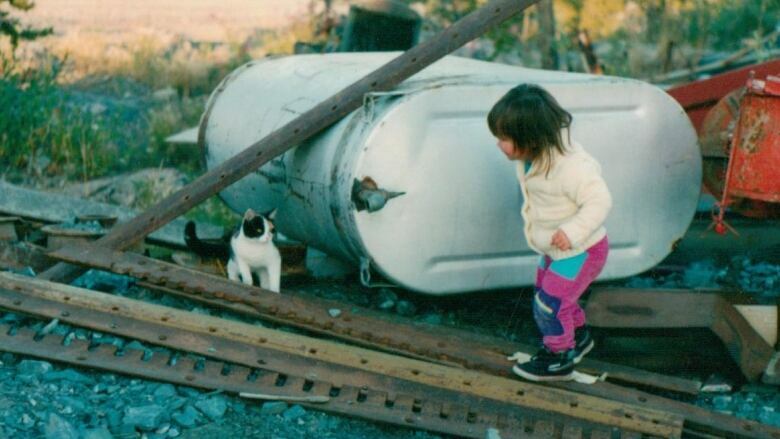 In the days following Angela's disappearance, he wanted to see a roadblock on the only highway leading out of Yellowknife. He also wishes a coat discovered — and deemed to be Angela's — had been DNA tested. "Just to determine it was hers, and to see if there was anybody else's DNA on that coat," he said, adding that he had suggested taking it to a private lab to get tested. The RCMP warned Dean that any evidence found on the coat in a private lab would not be admissible in court. "It was very frustrating," he told the room. The Meyer family wants the inquiry to take one key lesson from Angela's story — they want to see more mental health and addictions support in the North. "Keep after the doctors and the psychologists," said Kathy, urging politicians to "take a good look" at the extent of mental health issues across Canada and in the North. Dean had similar concerns about Angela's care — he said it seems professionals often fly up from the south for short periods of time. He criticized these short-term appointments as leading to a lack of consistent care. "I don't think [Angela] had any psychologist that was actually from Yellowknife," he said. "Or a Northerner."